Part II of the series explained that Earth’s orbital relationship with the Sun also follows a cyclic pattern and that almost 100 years ago, a Serbian named Milutin Milanković proposed possible mechanisms related to Earth’s tilt and orbit that could be the root cause of the regular cycle of Ice Ages. No one can say for certain whether or not that we should be in an Ice Age today. Past Warm Ages have typically collapsed back into a cooler period within a few thousand years followed by a complete return to an Ice Age within about 10,000 years. If Earth past climate history is correct then our planet should be in a cooling period, if not into a full-scale Ice Age. Instead, Earth is warming. The Milankovitch Cycles don’t all concur on this issue, but there is some intriguing evidence that suggests we have missed a cooling period based on Earth’s orbit and tilt. Consider the factors discussed in Part II of this series. Our orbit eccentricity is about one-third the way from our lowest level, meaning Earth’s orbit is becoming more circular. It’s cycle is about the same as Earth’s climate cycle, so it could be a significant factor. Interestingly, the eccentric peak of .02 during the current cycle was half to one-third of the peak past three cycles (.04 to .06. )¹ Could that be a factor in the prolonged warm period? Possibly, but why? Earth just passed the peak a few thousand years ago so, does a low peak eccentricity result in a prolonged Warm Age? Earth is about halfway between our high and low peak tilt angles. Our planet’s tilt, or obliquity is on an approximate 41,000 year cycle, so we were just passing through our highest peak obliquity at the start of this Warm Period. If high tilt angle is a trigger for a Warm Age, then we should be cooling down, unless obliquity must be coupled with another factor to trigger a cooling period. Earth’s axis wobbles and it takes 26, 000 years to complete one cycle. 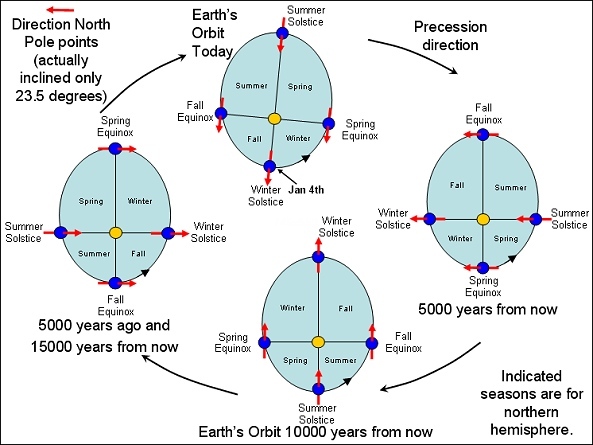 It is hard to see a connection with the slow regression of the seasons and Earth’s climate, but perhaps the cycle of axial precession couples with another factor to trigger a cooling period, or sustain a Warm Age. Apsidal precession is factor has some interesting possibilities on how it might impact Earth’s climate. Currently the Summer in the northern hemisphere occurs when Earth is farthest from the Sun (aphelion.) Our closest approach to the Sun (perihelion) occurs during Summer in the southern hemisphere. Earth’s northern hemisphere is about 40% land and 60% water. The southern hemisphere is about 20% land and 80% water. Land that is not covered with ice absorbs more energy than water because water reflects more of Sun’s energy back into space. In Part II we learned that the hemisphere that is in summer during perihelion receives 23% more solar radiation. Because of the greater land mass, the northern hemisphere will retain more of the summer Sun’s energy in 10,000 years (when perihelion occurs in July) than the southern hemisphere does currently. From a standpoint of apsidal precession, Earth should be in the coldest period since we are closest to the Sun when the smallest percentage of our land mass will absorb the energy or insolation. The tilt of Earth’s orbital plane off of the invariable plane is on a 100,000 year cycle, which coincides with Earth’s climate cycle. Since higher angles of our orbital plane result in a higher obliquity and magnify the effect of land mass absorption differential between the two hemispheres, it could be a factor in triggering the Ice/Warm Age cycles; however, it is unclear how this factor could contribute to the prolonged warm period. Are We Missing an Ice Age? Earth’s climate cycle does not follow a perfect 100,000 year pattern. 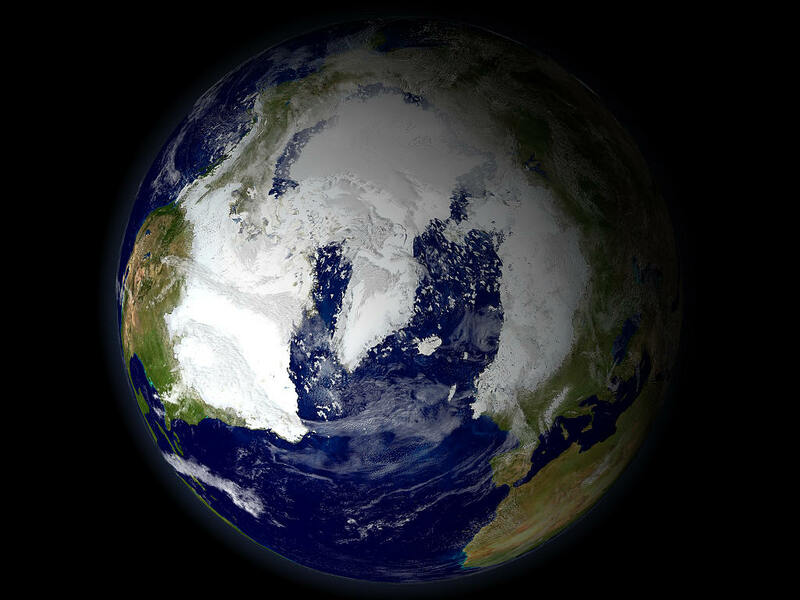 Most people would be happy if we never went into another Ice Age; however, if we have missed the trigger of the next Ice Age, what does that mean for our climate? Will Earth’s delicate climate balance be ruined leading into a runaway warm period or will the next Ice Age come in a rapid onset like in a disaster movie? The Sun charges Earth’s climate ‘battery’ and variations in how much solar radiation our planet absorbs dramatically affects the environment for all life. 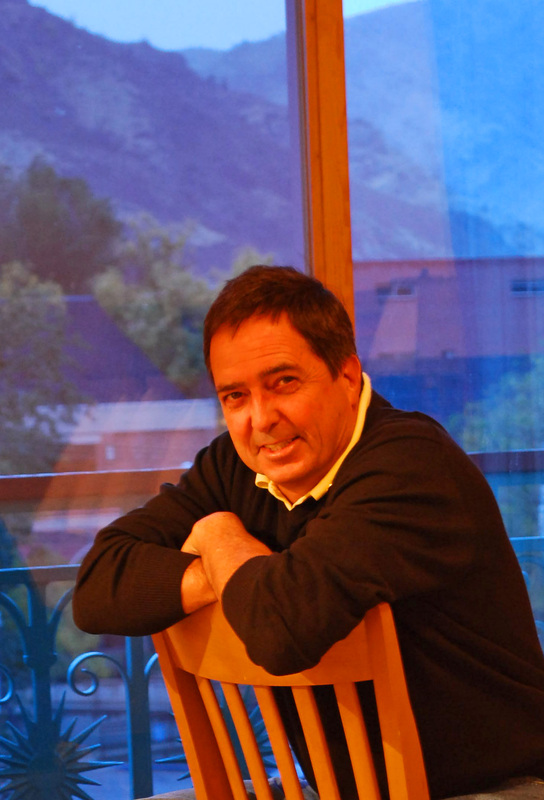 It will be important for scientists to discover what is happening to our climate and why. Life on Earth exists in a narrow band that is not to cold and not to hot and we have no practical methods to reinforce or siphon off the Sun’s energy in a crisis. While scientists to continue to examine this issue there are other issues that should be considered beyond climate. At least for the past 400,000 years, the Warm Ages have been relatively brief periods. It is during those brief periods of warmth that life has flourished, then the Earth has been cleansed with the next Ice Age. What will happen as insects, reptiles, and bacteria continue to evolve and expand without an Ice Age to push back their spread across the globe? Is it possible that too much life will threaten human existence? These are all questions that have to be answered as long as the Earth continues to avoid the next Ice Age. PART I – Should We Be In An Ice Age Now? It’s a good question, whether we are missing an ice age. We should be glad, if it would be so. A hot climate has a high biodiversity and life would flourish. A glacial period has a low biodiversity and there wouldn’t be enough fertile land for feeding so many people as live nowadays. If a glacial period would come suddenly, many people would starve. We know, when the climate is cooling from a hot climate to an ice age climate, that there are always short interglacial and long glacial periods. But what happens, when the climate changes back to a hot climate, will there also be such warmer and cooler icy periods or not? This we cannot look up in former not any more existing ice cores from before the last hot age. It’s clear that we will have a long term change to a next hot age. But this should take some millions of years. But the next glacial period could come very soon. After 2014 the temperatures should decrease for 30 or fifty years due to a decreasing solar activity. But what happens then, is the question. Nobody know this. Could the long term warming, which is caused by a diminishing cosmic flux, hinder the cooling, which is caused by the Milankovic Cycles? This everybody would like to know. Or could we hinder the next glacial period by CO2 or other greenhouse gases? Governments and ecologic activists seem to love in ice age, because they spend billions of dollars for less greenhouse gases. Others doubt a great influence of greenhouse gases. My pledge: please people try for a warm age, a glacial period would be a disaster. I think I should go point by point to respond. First, a hot climate may have ‘more biodiversity;’ however, that fails to describe the distribution of climates around the Earth. A hot climate with no ice at the poles may offer more life in the higher latitudes, but it also can create conditions that would wipe out many of the rain forests and create desert conditions in places like the south central US. Hot climates also disrupt jet stream patterns that drive winter storms and that can have a major impact on places like the western US where winter storms are the primary source of water year round. Regarding ice core data, the last time we did not have ice anywhere on Earth was possibly over 8 million years ago (http://icestories.exploratorium.edu/dispatches/antarctic-projects/the-oldest-ice-on-earth/) and the last ice age began 2.6 million years ago (http://en.wikipedia.org/wiki/Ice_age,) so we have plenty of data to look at regarding climate activity over several million years. Beyond that we have geologic evidence of ice activity (e.g. ; glacial moraines and glacial scarring) and warm climate activity (fossils, etc.) to build a history of climate. You are correct in that nobody can precisely predict what will happen over the next 100 years in every climate zone; however, scientists are doing a pretty good job of predicting what is happening in general terms now in into the near future. The cosmic flux theory is primarily hinged on an alleged connection between sunspot activity and Earth’s climate. The problem is that since the maximum/minimum cycle runs on an 11 to 13.5 year cycle, why doesn’t Earth have a perfect climate cycle that mirrors that time period. I won’t discount the possibility that there may be some connection between sunspots and Earth climate, but the idea that sunspots is ‘the’ driver of Earth’s climate has no significant scientific evidence. Wacko neo-Christian organizations seem to have desire to replace science with wild guesses, but only the gullible and stupid are sucked by the attempts to reduce fact with mysticism. There is no reason to doubt, that the next ice age will come. Not clear is, what triggers ice ages. A key to the reason could be the dust during glacials. During interglacials nearly no dust can be found in ice cores. But at the end of glacials a lot. This would mean, that there should be a different wind system durings glacials. But what triggers a different wind system, isn’t known now. I hope that the wind system will not change at the 12. December of 2012. This is absolutely, 100% wrong. We have had a continuous period of ice on Earth for at least 2.6 million years and possibly as long as 8 million years. It is apparent you have no credentials to discuss this topic with anyone. I have deleted the links you had on your comments in hopes that no one is misled by your lack of knowledge in climate research. Sorry, you made some wrong assumptions. The first wrong assumption is, that I am absolutely wrong about the times with no ice on earth. The time, when the dinosaurs lived, was such an age. The other wrong assumption is about the begin of ice on earth. There are two values. 2.6 million years and about 30 million years. 2.6 million years mean ice in the Arctic. And 30 million years mean ice in the Antarctic. If you refer to Wikipedia “Quaternally glaciation” ( http://en.wikipedia.org/wiki/Quaternary_glaciation ), then you should also look to the German article. It describes also the “Cenocoic glaciation”, which began in the south hemisphere about 29 million years ago. I will concede that once we move out of human evolution their were extreme warm periods and the warm periods did exceed the number of cool periods as far as can be determined; however, the dynamics and content of the atmosphere millions of years ago are not the same as in the last 1 million years and therefore to try and trace any kind of a pattern back that far is absurd. In fact, the farther we go back in time the less accurate the information on climate. In some cases the climate of a certain period may have been determined by representative fossils of one or two sites. After we go back to a certain point then other factors come into play such as Continental Drift and how much land mass occupied each hemisphere. There is no justification to look at pre-human climate because it cannot be reliably determined and there is not discernible pattern that we can establish from what evidence we can gather. However, we can show evidence of a pattern Pleistocene period and that shows significantly cooler periods with interspersed warm periods. Again, your use of long term time frames is pointless when discussing what is happening during the Pleistocene period. The pattern that is being discussed is in regard to Earth’s current atmospheric content, not pre-human. If I understand you correctly, What you propose is that Earth’s atmosphere has been static and the only thing that has changed is cosmic rays and the position of Earth to the Milky Way galaxy. You wrote, that a hot climate may wipe out the rain forests. You shouldn’t think of a hot climate in terms of nowadays climate, with it’s jet streams and climate zones. What happens, when the jet streams vanish, and there will be only one climate zone? But this isn’t something, which will happen in a near future. And should we discuss now, what could happen in many millions of years? What we have to be afraid now, is, that the northern jet stream, which protects the moderate climate zone against the polar climate zone, will move to the south, as it happened already during the last summer, with a cool and wet summer in Europe. We had arctic winds here in summer. And on the other hand, there were warmer winds moving to the Arctic, followed by melting of ice. But if such a nowadays unusual jet stream would last longer and would become permanent, we soon would be in an ice age. This happened already during the Little Ice Age, from which we recovered during the last 150 years. But will the temperatures recover also after the next similar little ice age? And such a similar little ice age could happen soon due to a declining solar activity. The climate depends also much on the jet streams. But changes of the jet streams are not explored much. The remark is absurd. Rather than explain to you why this can’t be possible, I will ask you to explain any scenario where the Earth only has one climate zone. Specifically, how does the Sun heat all areas of the Earth uniformly? I actually can come up with that scenario, but it is an extreme scenario that involves ending all life on Earth, which really isn’t worth discussing. About mirroring small term cycles. We should try to find the truth. And the truth we can find, when we can imagine much, and when we doubt all, as long as we don’t find evidence. You seem to believe too much, like something would be absurd or couldn’t be possible or that all life will end, if such a uniform hot climate would occur. Then how would you think about the climate 90 million years ago, when the surface temperature of the arctic ocean was 25 °C. When animals alike alligators swam there. When there was no ice on earth.. When the surface temperature of the Atlantic ocean was 35 °C and when subtropic plants grew in the Antarctic. And when giant plants and giant dinosaurs existed. This was an age with a high biodiversity and no age which ended life. I will not claim only one climate zone, but it could have been. In this age North and South America were not quite connected. The Pacific and the Atlantic ocean could exchange their warmth during the street of Panama. So the temperature evening-up functioned better. And for a uniform climate on earth the sun don’t need to heat all areas on earth uniformly. It’s only necessary, that the temperature evening-up by maritime streams and by the winds in the atmosphere isn’t blocked. One of the great blockers nowadays is the ice in the Antarctic. Sorry, that I wrote about these hot ages. You wrote, these hot ages would be pointless for the Pleistocene climate. I wouldn’t think so. Because we should understand, that the Cenozoic cold age is an interruption of such a hot climate and that temperature decreased to a minimum nowadays and the Pleistocene is the age about since the glaciation of the Arctic until our Holocene interglacial. And we should also understand, that the climate will change back again to such a hot climate, which was interrupted by a periodic galactical influence. And if we know this, then we may understand, that nothing is special with our Holocene and that interglacials ocurred first in 41 kyr cycles and then in 100 kyr cycles and that the temperature difference between warm interglacials and the temperature minimum of glacials became more pronounced and that there shouldn’t be any reason for missing the next glacial. There is no reason for such a believe. We only need to have a look at longer term climate changes and to explore the causes, to which temperature changes are linked, instead of becoming nervous about short term changes and making wrong assumptions. Or could you explain, how humans could compensate the variations of the 100 kyr cycle? Scientific explorations showed, that CO2 during the last 100 years didn’t have a significant influence on the temperature. In this short period was the temperature mainly driven by the short term climate drivers solar activity and the earth nutation. Your making this up as you go. The Sun is the primary heat source for the Earth. Trying to heat all the areas of a sphere uniformly with one heat source is almost impossible. The only way to do it is to have an atmosphere so dense that the green house gases act as oven walls, but to do it the planet has to reach temperatures that would kill off any life form. Again, once you go beyond a million years the issue of what impacts climate cannot be proven. There are too many factors and too little evidence of a pattern that can be linked to any independent variable. Any discussion of what caused warm, cool, hot, or cold climates beyond 1 million years has to consider other factors like plate tectonics, external events, and atmospheric evolution. Finally, the statement that shocking rise in CO2 levels in our atmosphere has had no significant influence on the average temperature of the Earth is ridiculous. There is ample scientific evidence that the Earth’s temperature is rising faster than anyone could have predicted. Even former skeptic Dr. Richard Muller has now acknowledged that Earth’s temperature is rising and that humans are the cause. you assume too much. You wrote, that heating all areas of the earth uniformly would be almost impossible. But what happens, if you have a pot of water and if you take a small immersion heater and heat only one place? Soon all the water would become warm. What happens, if outside is a cold winter and if you have two rooms, which are connected by a door, and if this door is open and you heat one room? Also the other room will become warm, not so warm as the room, which you are heating, but warm. But if you close the door and open the window in the other room, this room will become cold. And such is the climate nowadays. The ice sheets at the poles reflect the sun insulation and are comparable with open windows. And the jet streams and continents from north to south and high mountains like the Rockies are the closed doors. There no evidence, that CO2 caused rising temperatures, short time increases in temperatures are linked with sunspot activity. And there is also a global raise in temperature. The sun insulation in the tropic and the temperature there increases since 20 million years, but slowly and seemingly without the effect for heating also the cold regions. Increased heating will not melt the Antarctic for millions of years. But if the ice in the Arctic would melt soon, which I doubt, then the climate could change back to the climate before the 100 thousand years glacial cycle, which occurred about 1 million years ago or before the Pleistocene (sorry you wrote, that I shouldn’t consider the time before 1 million years.. And the climate before the Pleistocene was a rather stable climate without ice ages in the northern hemisphere for millions of years with a temperature level of nowadays climate. Melting ice in the Antarctic would compensate further increase of temperature. The time which I may consider – as you wrote – is the time of 41 kyr cycles with lower temperatures during interglacials and higher temperatures during glacials. This would be because of an increased temperature evening-up between the northern moderate and polar climate zone, due to a warmer Arctic with less ice. Maybe it means loosing the north jet stream. If there would be no or less ice at the poles, then the jet stream should become weak and should vanish. The jet stream is caused by a great temperature difference. So if the temperature in the northern polar region would increase much, this would lead to a colder climate during interglacials in nowadays medium warm moderate zones. So live will not be extinguished by heat. But I think, that the temperature didn’t increase so much, that the ice will vanish completely and that we still should be in the 100 kyr cycle and that nothing don’t change now. Instead the next normal glacial should arise. But when? LOL! Why doesn’t your ‘pot of water’ work now? Why do we have seasons? If your example of heating the Earth’s atmosphere was correct, why isn’t the atmosphere uniformly warm right now? Or is there some mystical force that is going to suddenly change the laws of physics? You don’t apply science to your logic and you make up your opinions based on what you want to believe. I have to be done with trying to discuss science with a mystic. All future posts will be unapproved.